Today before our Shanghai concert we met the Echo Chamber Choir from Fudan University under the direction of Abraham Hong. 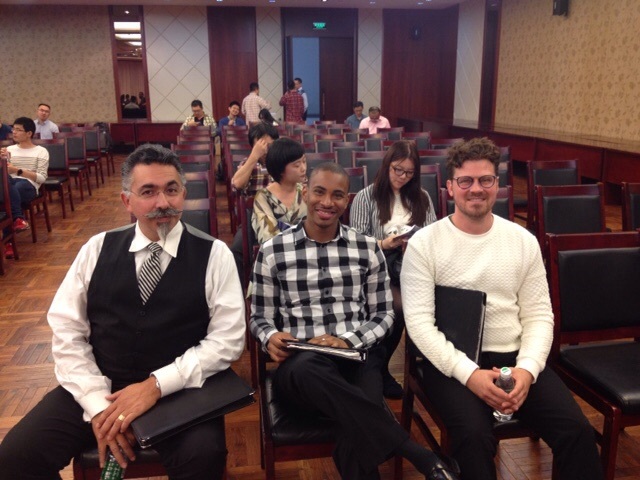 We had collaborated with them on a masterclass last time we were in Shanghai in 2013. We sang and answered questions, and worked with them on Barber's "Sure on this shining night," Foster's "Jeannie with the Light Brown Hair," and Gershwin's "Summertime."